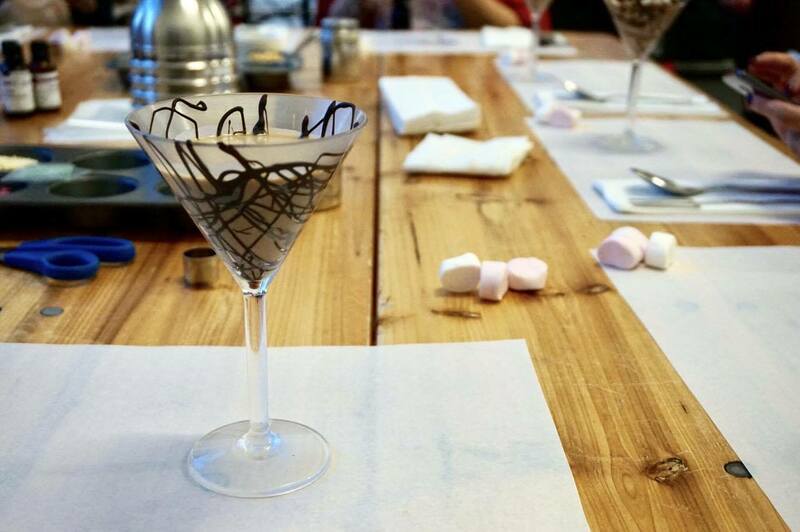 We started the evening making chocolate vodka martini's, learning the "wagging the tail" technique to decorate the glass with melted dark chocolate. 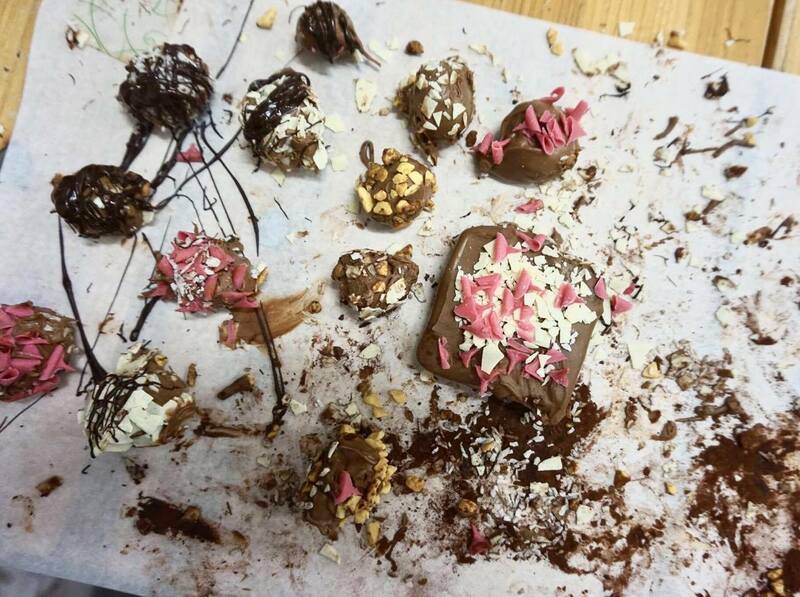 We worked as a table team to mix the ingredients and it came out so yummy! I was in charge of shaking the cocktail shaker and managed to splash a load of it all over my face :o ! Watch my latest vlog to watch it in real time! 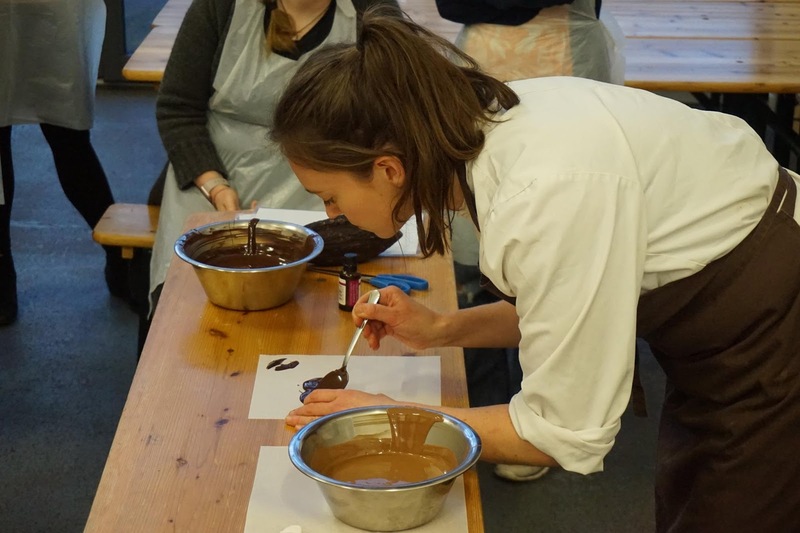 Despite my chocolatey mishap, it was the perfect start to a fun workshop! 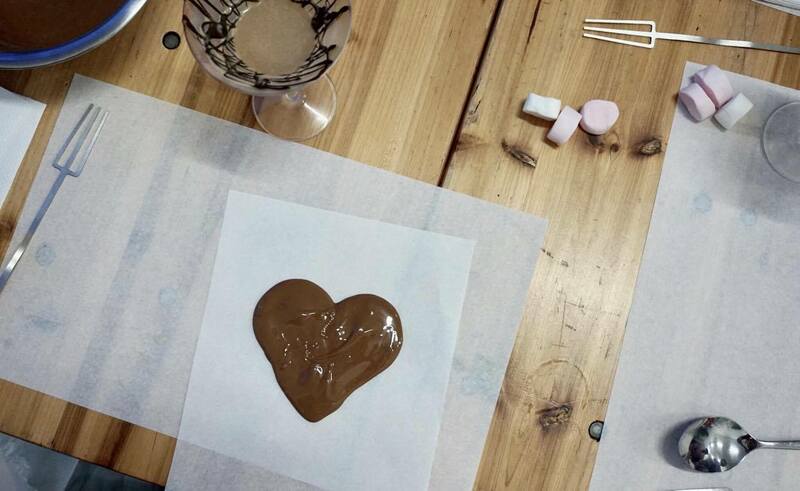 Next up, we created our own large chocolate button! 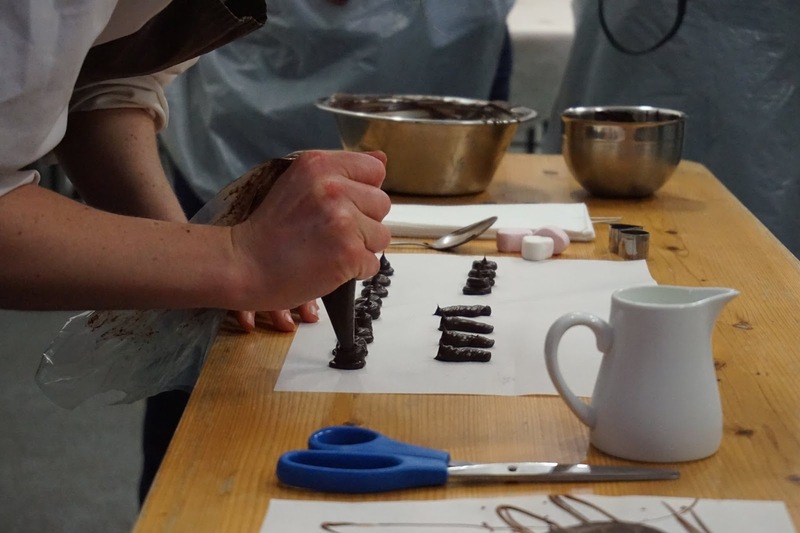 Our lovely host demonstrated first, showing us the best way to create a design, then we were let loose to make our own! Next up it was truffle time! 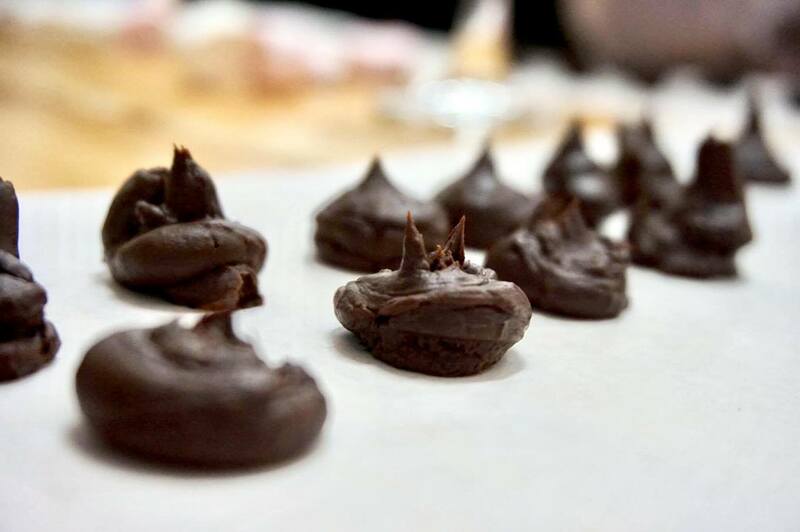 We truffle-shuffled our way back to the demo area to learn how to make a ganash using cream and melted dark chocolate (2 parts chocolate to 1 part cream). 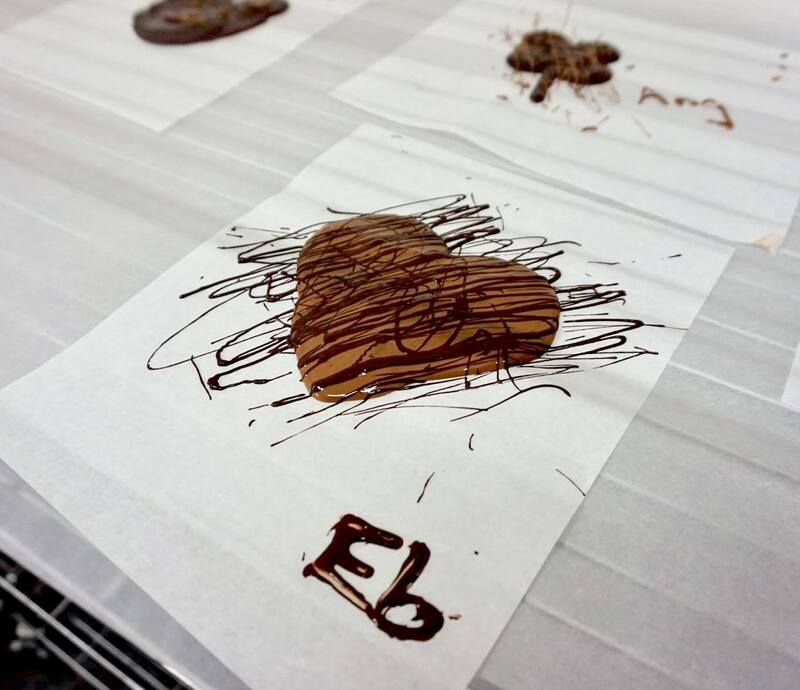 We created our own ganache then piped it into little bite-size pieces and left to set. 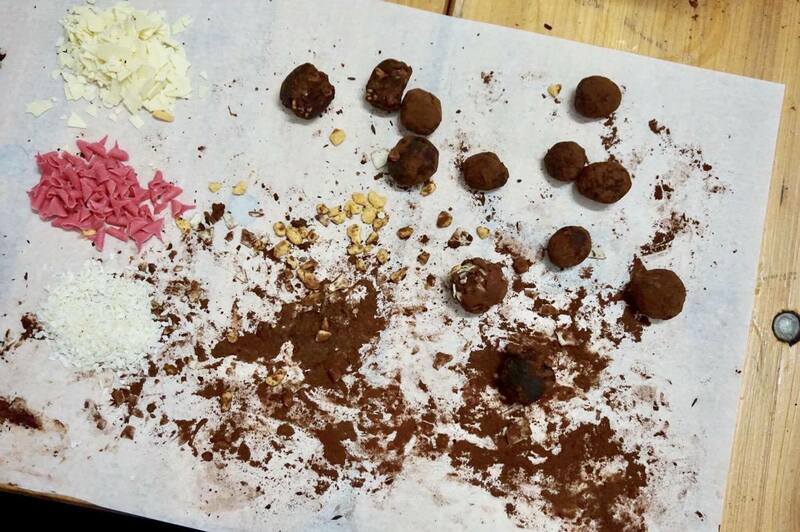 A glass of prosecco later, and it was time to roll and decorate our ganache balls! 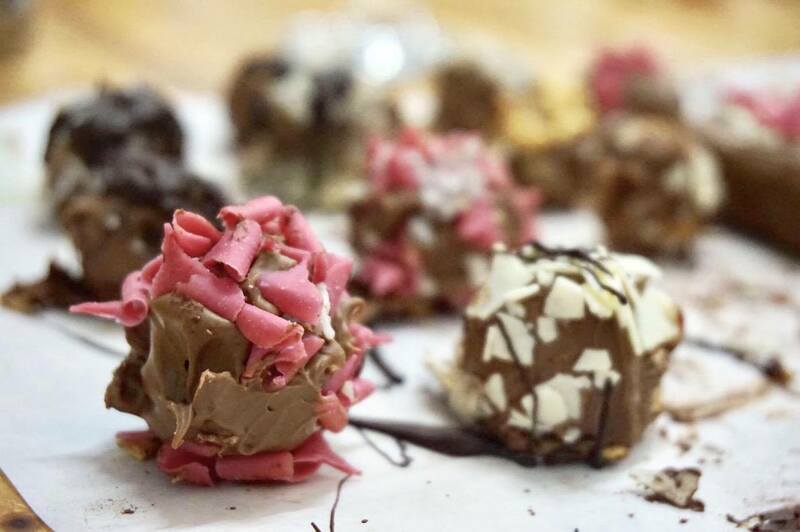 Using white chocolate curls, raspberry curls, honeycomb, salt and melted milk chocolate, we got to unleash our inner artist and get creative with flavour combinations and presentation. 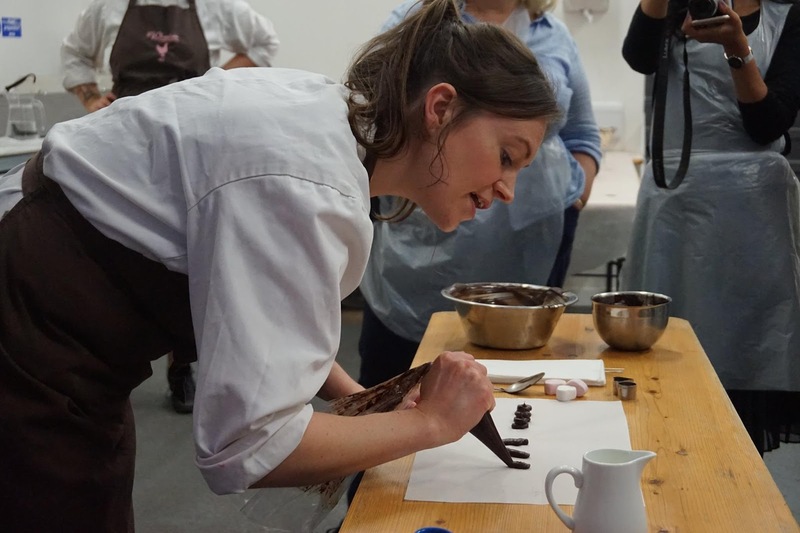 The whole evening was speckled with lots of interesting facts about chocolate, a chocolate tasting experience and lots of prosecco! It was an amazing experience that I would highly recommend for a fun couples activity, friends or even as a work activity! More information on how to book can be found here. Or if you're still not convinced, check out my vlog from the evening!